Happy Thursday, y’all – and welcome to another Happy Inkin’ Thursday Blog Hop!! Today’s a color week challenge and I know you’ll see a ton of awesome-ness on the hop. And here’s the color scheme we were working with this week. I used the sketch from this week’s Fusion Challenge to inspire my layout. I started with a piece of Sahara Sand card stock and stamping the little fern-y image from the Falling Leaves stamp set in Old Olive all over the panel. I stamped the image twice each time, without re-inking. Then I adhered it onto a Cajun Craze mat with Liquid Glue. The second piece of the Santa’s Bag was colored with my Dark Cajun Craze Stampin’ Blend, then stamped in Old Olive with another Falling Leaves leaf. Both panels were adhered with Glue Dots. I cut a solid leaf from a piece of Blackberry Bliss Country Lane DSP and a detailed leaf from some Sahara Sand card stock, using the Detailed Leaves Thinlits. I lightly sponged the edge of the detailed leaf with Sahara Sand and adhered them both to the card front with Liquid Glue. With Blackberry Bliss ink, I inked up just the final word on a sentiment image in the Falling Leaves set and stamped it on a small piece of Sahara Sand. I flicked the edges with a sponge inked with Sahara Sand and adhered it with Liquid Glue. I made my double-loop Billie Bow by first untwisting a length of Blackberry Bliss Nature’s Twine. I used about 5 strands to make the bow and adhered it to the card front with a Glue Dot and the card front was done! On the inside, I stamped a second sentiment from Falling Leaves in Blackberry Bliss on a Sahara Sand panel. Over that, I stamped a leaf in stamped-off-once Old Olive. I used Liquid Glue to adhere the panel to a Cajun Craze mat and into my Sahara Sand card base, popped the card front on with Stampin’ Dimensionals and the card was done. …and I added a little more of the Blackberry Bliss Country Lane DSP to the envelope flap. Et Voila! I love how cool the Santa’s Bag looks cut into different shaped elements – they provide a very organic look, don’t you think? And the Falling Leaves bundle plays off the muslin perfectly. I hope you like! World Card Making Day is this week (6 Oct) and, in celebration, Stampin’ Up! is having a WEEK LONG sale! Starting today, 1 Oct and running thru 7 Oct, you’ll be able to gather up select goodies for a 10% savings! Whoo-HOO! Check it out – click this picture to make it Human-Sized! 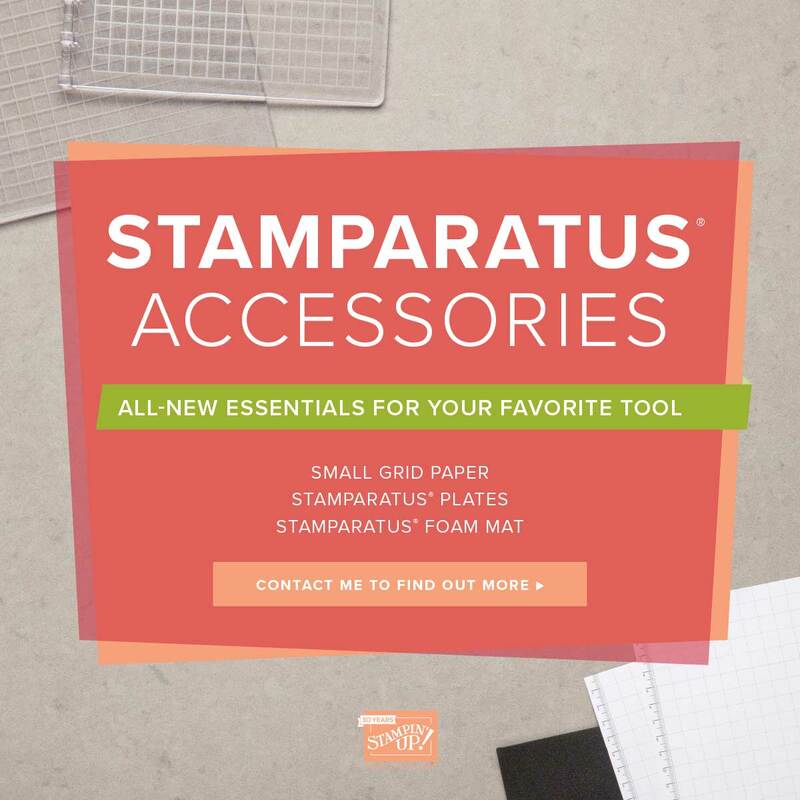 New Stampartus Accessories Now Available! What a great design! The way you used the Santa’s bag is genius!! Wow, Mary! Your creativity knows no bounds. Who’d a thunk to take apart a bag? Not me. Love the idea though. Lovely card. A beautiful take on the sketch, Mary! Your autumn color palette is gorgeous and I love how you added texture to your design with muslin…WOW! Thank you so much for playing along with us at Fusion! Great card Mary, Love, Love, Love what you did with twine and that bow!!!!!! Very clever to use the bags! Love all the texture on the card!